When learning characters or words, or when failing to remember a character or word we have already learnt, most sensible teachers will urge you to deepen the knowledge of that character. Rather than simply copying it (which won’t work in the long run), you should aim at understanding the character and its components. This is what my sensible character learning challenge is all about. When it comes to words, it helps immensely to understand the characters. However, focusing on depth isn’t enough to solve all problems, sometimes you need to expand your knowledge horizontally to neighbouring characters to solve a problem once and for all. This is what horizontal vocabulary learning is about. Rather than going deeper, you need to switch focus from the character or word in question and look at similar pieces of vocabulary. This is especially true for characters, but it’s sometimes also necessary for words. In other words, it’s not enough to simply learn about a character or a word, you need to learn how it is different or similar to other words, otherwise the risk for confusion is high. 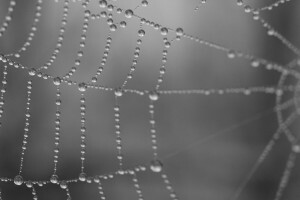 Think of your knowledge as a web. 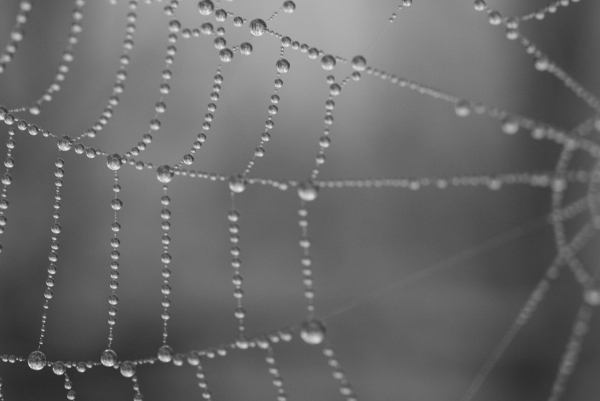 You want a web that is interconnected at all levels, not only at some very basic level. If you only focus on the components, you will end up with a root-like system. That’s still better than having no connections at all, but it’s not as good as having a proper web. Looking at similar characters or words is also a way of strengthening your overall knowledge and cleaning up bad mnemonics (more about this below). Let’s look at different kinds of confusing cases where horizontal character learning is a must. The same applies to characters with similar meaning; only when put together side by side can you actually see how they are different. This is true for words as well, but I think the wider topic of dealing with synonyms in Chinese requires a separate article, so I won’t dwell on this for long in this one. For character learning, there are many components which mean essentially the same thing (this was discussed in this article as well). These characters look very different, but have almost identical meanings for people who aren’t experts in ancient Chinese weaponry. 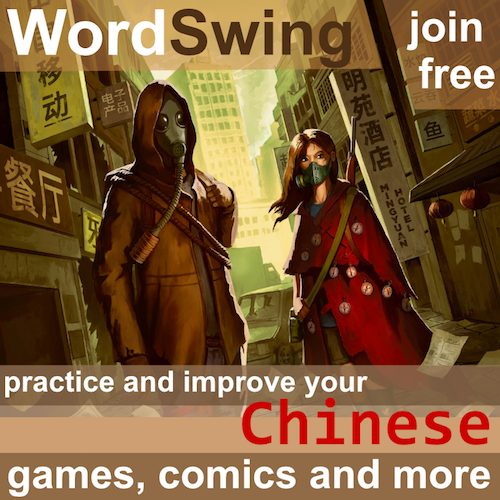 This problem arises because it’s hard to describe some Chinese words in English. There are no exact matching words for these weapons, so the ones provided above will have to do. The other option would be to actually describe the weapon itself, which is perhaps more useful but not very common in Chinese-English dictionaries. Again, if you just study these separately, you will end up utterly confused. If you put them side by side and deal with them together as a group, it’s much easier. After some googling, it seems that 戈 is closest to the English word “halberd”, because it has a perpendicular cutting blade. 矛 seems closer to a spear (or perhaps pike) which doesn’t have a perpendicular blade at all. 殳 lacks a cutting blade altogether and for clarity, I think of this as a long cudgel. This might not be 100% accurate, but by looking at these three characters and sorting out their different meanings, it’s now much easier to use them in mnemonics. Most of the time, students are not aware that this is happening and that the reason they fail is because they swap a character or a character part for another. When I study characters, I’ve learnt to keep an eye out for these problems. Basically, whenever I really think I’m right (for whatever reason), but it turns out that I’ve written the wrong character, this is a good sign that the solution might lie in studying horizontally rather than delving deeper. In other words, if you fail to recall a character or component, you need deeper knowledge of the character, but if you confuse one part for another, you don’t need to go deeper, you need to expand horizontally and put the characters or character components into context! I like the idea of using common elements to remember characters and words. I don’t think this is emphasized enough: when I learn a new word or character it is always easier to remember if it re-uses what I already know. I created some graphs that show which characters HSK words have in common; the graphs also help to distinguish between characters which are words on their own, and those which are only used within other words. I would like to do something similar to show which characters share common components within characters. The connections could of course be created by hand, but if anyone knows of a freely available character component database, please let me know! That’s really cool and might be extremely useful for teaching (or self-learning) even though I haven’t figured out exactly how yet. 🙂 I’ll send you an e-mail! Alan, have a look at http://commons.wikimedia.org/wiki/Commons:Chinese_characters_decomposition – you’ll love it. I used social network software like SocNetV (and another one with more algorithms, but I don’t remember the name) to generate the graphs and then a little bash script to make nice svgs, but I never published anything. I’ll start a blog eventually, I think. Have fun! Hi Matthias, thanks for the link. I managed to generate some character decomposition graphs based on the information in there; I added one to the Dropbox album that I posted a link to on Skritter. I don’t think the generated graphs are too useful with a character list the size of a whole HSK level however, as there are just too many connections and the whole thing becomes very messy. The script could be used to graphically show the composition of hand-built lists of characters however, to highlight the kind of relationships Olle was talking about int the post. I use the Taiwan Hanzi grades 1 – 8 deck downloadable from Anki and with this deck you can sort the Hanzi by Hanzi which is by radical. This might be one way of achieving partially what you are asking. Yes, bun sorting by radical is only one way and the most obvious one. Finding phonetically similar characters is potentially much more powerful, but also harder to achieve. There are of course ways of doing it, but since they are all automated (HanziCraft, Yellow Bridge), they are a bit crued. Still better than nothing, though. Of the six catagories of what characters represent, the idea that something in the character is a phonetic clue is likely to be complete nonsense. Take the character for ‘sun’, Yang and you will see characters that appear to included it as a phonetic clue, but a rather wide array of other closely related phonetic sounds. Sure, there may be some that offer a exact phonetic clue, but certainly not with a great deal of clarity. 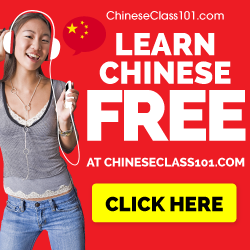 After all, Chinese written language actually represents many different spoken dialects – Mandarin, Hokkien, Cantonese, Hakka, and a few others. Yale University created this thesis a long time ago and it is nicely presented in the intro to Reading and Writing Chinese. But after fooling around with the text for 25 years, I have had to scrap the intro as being ivory tower nonsense. Phonology is very, very important as Chinese has so many homonyms. So when I am looking at phonology relations I look at what has a ‘true sound clue’ and what does not. 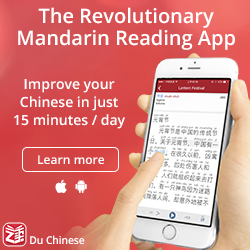 I nightly work through reviewing all the characters in one phonological pronunciation (in a Chinese-English dictionary) to see what I do use correctly and what I am confused about. That little ‘sun’ character (yang2), is part of soup, which is tang3: is part of marsh, which is dang4; is part of saucer which is dang4; is part of intestine, which is chang2; is part of harm, which is shang1. And yes here are several characters that do just use the yang, but the four tones may vary. If you are wondering how I did up this kind of info, I use a copy of Chinese Characters: A Genealogy and Dictionary. And this book was also published by Far Eastern Publications, Yale University. What I am trying to say here is that characters don’t always work as sound clues. You really have to keep asking yourself what you recognize as having a ‘yang’ sound and which of the 4 tones you know are right. A student dictionary, like Far East 3000 Chinese Character Dictionary has just 14 listings for ‘yang’ and a few in each of the 4 categories. That is not a lot for bedtime review. But be warned that while some pronunciations are extremely easy with 2 or 3 characters, others are nightmarish (beware of shi). Agree wholeheartedly with this strategy. I have occasionally sat down with all the tree based characters to make sure I know their differences so as to avoid confusion and it has paid off well. Less failed SRS reps, more time to focus on other learning. Same same but different is a great Thai expression that helps you think about what is different as being most important. I find that if you are failing a character multiple times it helps to write down what it is, then when a related confused character comes up keep them side by side .. I use piece of paper to record them and then examine side by side to clarify my mnemonics better. SRS tells you this if you monitor it carefully. I like this article a lot. It’s especially useful when you’re an intermediate learner and you’re getting to that point where you are expressing some more complex ideas, if you don’t know the sometimes subtle difference between two characters, not only will you confuse them, but you will be limited in your ability to articulate your ideas. I’ve also found it really useful to read literature in Chinese and when you get to those words that have similar meanings always go and try to find doubt why the author used one and not the other. As always, really enlightening Olle. We hope you can appreciate the Sunrise Method. It is basically similar to the approach described above as well as offering sound correlation/relationship rules. 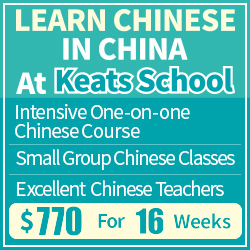 Our goal is solving learners and teachers issues with Chinese characters. Feel free to ask any question or bring up any problem related to characters and we should have a conceptual or concrete answer and solution. Best of luck with the process. Just reading this article and thinking about the characters in this way puts you ahead of the curve. Our app is a free beta and we are improving on it to be more user friendly. Any feedback is welcomed.